The Best UK Craft blogs from thousands of top UK blogs in our index using search and social metrics. Data will be refreshed once a week. 2.3 Kids Craft Room - Creative Fun For Everyone! 2.13 Papercraft Inspirations Magazine | Creative ideas for every card maker! 2.41 Lucykate Crafts . . .
2.46 Couture Craft | Live life creatively! UK Craft newsletter is a comprehensive summary of the day's most important blog posts and news articles from the best UK Craft websites on the web, and delivered to your email inbox each morning. To subscribe, simply provide us with your email address. About Blog The Hobbycraft Blog is the place to be inspired about craft. If you are new to crafting and need advice or are seeking new craft ideas, our craft blog is here to help. Follow to get news on what's new in our craft store at Newcastle. Facebook fans 315,537. Twitter followers 34,958. South West UK About Blog Arty Crafty Kids is packed with fun & easy and totally do-able Art and Craft Ideas for Kids! Facebook fans 631,135. Twitter followers 813. 3. Kids Craft Room - Creative Fun For Everyone! East Midlands, UK About Blog Welcome to Kids Craft Room, bursting with art, crafts and activities for creative kids and moms. We love to share achievable ideas that make nurturing kids creativity easy and fun every day! We love sharing inspirational art and craft ideas to enjoy with children throughout the year. Facebook fans 242,516. Twitter followers 7,119. North Yorkshire, UK About Blog Sharing tips and ideas to make parenting a little less insane - from one mad house to another. We hope to fill your with inspiration to live your life with your family. Come with us as we make our journey through life enjoying the small things and choosing joy daily. We craft, play, enjoy art, construct, cook and laugh our way through life. Facebook fans 36,440. Twitter followers 18,487. UK About Blog My name is Anna and I am a primary school teacher from the UK with a specialism in early years education and art. You will find plenty of ideas for art and crafts, imaginative play, creativity, science investigations, early maths ideas and lots of fun! Facebook fans 846,269. Twitter followers 9,798. Bristol, England About Blog Mollie Makes is a lifestyle and craft magazine for those who live creatively. We bring you the latest crafting trends in easy-to-follow how-tos, encouraging you to adapt and share your own crafty spin on things. We aim to inspire you to live your best, artful life. Facebook fans 136,263. Twitter followers 61,008. Durham, UK About Blog Find out the latest goings-on from Sara and the rest of the Crafter's Companion team. Facebook fans 63,149. Twitter followers 11,004. Cornwall, UK About Blog Creative inspiration for family life with achievable ideas you really can do. Crafts for kids, sensory play ideas, free colouring pages and more. Crafts for adults and their kids, family life by the seaside. Facebook fans 10,868. Twitter followers 6,674. Nottingham, England About Blog The Crafty Gentleman is a DIY and craft blog for men. It's full of DIY tutorials, craft ideas and recipes, as well as creative inspiration and tips. Facebook fans 1,499. Twitter followers 863. Facebook fans 102,895. Twitter followers 103,055. London, UK About Blog The gingerbread house blog was started in 2005 and is my little space where I share the things that make me happy: from our family-friendly crafts, our family adventures, and my little DIY projects for the house. Facebook fans 4,102. Twitter followers 12,008. 13. Papercraft Inspirations Magazine | Creative ideas for every card maker! United Kingdom About Blog Papercraft inspirations magazine has been providing ideas and advice to all levels of card maker and home paper crafter. Facebook fans 266,859. Twitter followers 16,443. UK About Blog Independent Stampin' Up! demonstrator, bespoke gift packaging and box designer. Supplier of all things gorgeously crafty for the consumer of paper, stamps, cards, inks and tools! Facebook fans 16,504. Twitter followers 4,186. Paisley, Scotland About Blog My name is John Bloodworth and I am, like you, a craft enthusiast and have been so for over 30 years. Through this blog I hope to share that journey with you as I bumble my way through all sorts of creative projects and experimentation. I also hope that you will share your experiences with me, and the other readers of this blog. Facebook fans 9,381. Twitter followers 3,928. About Blog Craft tutorials and ideas. Sewing, Crochet, Knitting, Paper craft, Home decor, recipes, clothes refashions, upcycling and recycling projects and much more. Facebook fans 898. Twitter followers 984. UK About Blog Create and Craft is a craft channel providing specialist craft and hobby products. We aim to educate and inspire, providing live demonstrations and guides from experts through a Multi channel approach. Facebook fans 230,534. Twitter followers 19,473. Near Worthing, UK About Blog I'm Jennifer Jain. Blogging about me and my family, the crafts that we do, the places that we visit, and the things that we get up to. Facebook fans 825. Twitter followers 3,585. UK About Blog A Blog by Linda Parker, UK Independent Stampin' Up! Demonstrator based near Southampton in Hampshire. Papercrafter at Papercraft With Crafty. Facebook fans 4,508. Twitter followers 33. Wiltshire, UK About Blog Our aim is to inspire you to create, explore and discover. We blog about our original craft tutorials, recipes, foraging, the Cotswolds, and developing well-being through being creative, spending time outdoors and connecting with nature. Facebook fans 2,955. Twitter followers 9,114. Helensburgh, Scotland About Blog Marceline blogs about illustration, Japan, crafts and the freelance life. Asking For Trouble is a collection of stationery, accessories and gifts featuring my cute characters inspired by Japanese kawaii. Facebook fans 1,074. Twitter followers 1,467. Durham, UK About Blog A daily craft blog about card making and lots of 3D craft projects. My name is Ann and I am a UK independent Stampin Up demonstrator based in the north east of England. I am addicted to paper crafts! Facebook fans 1,687. Twitter followers n/a. Bristol, UK About Blog Hi, I'm Laura, aka Lupin. Welcome to my crafty universe! Visit my blog for free tutorials & other crafty goodness. Facebook fans 6,216. Twitter followers 3,468. Manchester, UK About Blog Swedish House Crafts offers really a different style of crafting and crafting items. It is also a brand that offers handpicked items with passion and love of every beautiful handmade item to be. Swedish House Crafts has a very personal and extraordinary customer service and great high quality items for reasonable prices. Facebook fans 883. Twitter followers 40. Washington, UK About Blog Essential Crafts all of the crafting essentials you need for your card making, scrapbooking and craft projects. Facebook fans 2,023. Twitter followers 131. UK About Blog A blog to share the joy of papercraft and promote beautiful supplies for your crafts. West Midlands, UK About Blog Hi! I'm Ruth and I am the creative force behind Craft with Cartwright. I'm thirty seven, from the West Midlands and I am a vegetarian and a Coeliac. I am a craftswoman at heart, I love to draw, cook, sew and read. Luckily my children share my passions and we love to share this with everyone on my blog. Facebook fans n/a. Twitter followers 6,317. UK About Blog Creative Crafting Magazine was first published in October 2009 by a group of online crafting friends. Over the next five years we produced nearly 30 magazines and specials. We featured handmade products, stories, competitions, facts and many other craft related things. Facebook fans 1,796. Twitter followers 4,446. North Yorkshire, UK About Blog Amanda Bates at The Craft Spa. Paper Crafting projects, tutorials and supplies. Independent Stampin' Up! demonstrator UK. Facebook fans 1,690. Twitter followers 1,328. United Kingdom About Blog A daily papercrafting blog which features my handmade cards showcasing Creative Expression's products including my own line of cutting dies and embossing folders, Cosmic Shimmer, Ranger and more which use various techniques and ideas to hopefully inspire the creativity in you. Facebook fans 2,958. Twitter followers n/a. UK About Blog Hi My name is Karen and am mad about all thinks crafty,I love to make clean and simple cards using lots of different techniques but really love getting messy with ink and brush's I also love to make 3D projects. UK About Blog Craft Focus magazine is the UK's leading bi-monthly publication for the craft industry, for Art and Craft, Toy and Model shops, Haberdashers and Needlecraft retailers. Facebook fans 838. Twitter followers 3,488. Cambridge, UK About Blog At claireabellemakes you will find Handmade accessories and gifts including Bicycle accessories and Scrabble Inspired gifts and jewellery. This blog filled with DIYs, my favourite finds, crafts and recipes. Lastly, Claireabellemakes also includes my adult workshops under the name of Cambridge Craft Parties. Facebook fans 1,735. Twitter followers 4,834. UK About Blog Your go to place for the best craft party ideas, handmade wedding trends, upcoming craft event experiences & all things Crafty Hen! Helping you organise a hand picked crafty party experience to celebrate special occasions UK-wide. A unique opportunity to create & make memories with friends. Facebook fans 1,416. Twitter followers 4,153. Hertfordshire, UK About Blog 'A handmade cottage' is a craft and natural beauty blog - Inspiring others into crafting cosy characterful homes with easy projects, patterns and ideas. Facebook fans 1,290. Twitter followers 546. Manchester, UK About Blog The Ministry of Craft is a sociable and friendly place where you can be inspired by our varied craft courses. Facebook fans 4,481. Twitter followers 4,721. London, United Kingdom About Blog London Craft Club, a pop-up crafting studio where you get to make lovely, professional-looking homewares and fashion accessories in our quick and easy workshops. Facebook fans 10,966. Twitter followers 2,471. London,UK About Blog Hello! My name is Shelley and this is my humble craft blog. On my blog you'll find everything from origami Easter bunnies, to breeze-block Halloween tombstones. Proud to be an 'Arts & Culture' Finalist in the UK Blog Awards 2016. Look forward to crafting with you! Facebook fans 97. Twitter followers 1,782. 41. Lucykate Crafts . . .
Rutland, UK About Blog I am a freelance Textile Designer specialising in embroidery, applique and soft scilpture. I design projects for craft magazines and books in addition to making items to commission, and various shops and galleries. Facebook fans 953. Twitter followers 1,566. Boroughbridge, UK About Blog Craftaholique is a UK craft blog powered by a passion for beading and jewellery making. You'll find free craft tutorials, ideas and inspiration on this craft blog. Facebook fans 198. Twitter followers 929. London, England About Blog Fun, easy and "do-able" crafts for kids and grown ups. Using every day materials, making DIY a great activity to do together. With successful and gorgeous projects and results. Keep them. Treasure them or create wonderful gifts for friends and family. Facebook fans 2,340,016. Twitter followers 16,362. Dorset, UK About Blog Blog by Samantha. As you might have guessed, I live by the seaside on the the south west coast of Dorset. I love to create, so every chance I get you’ll find me dressmaking, sewing and other creative projects. As well as sharing my makes with you all I’d love to learn about your favourite projects, tips and tricks. UK About Blog I'm Anna. I love to craft and use sewing, crochet, knitting, macrame, and other techniques to make home decor and practical accessories. I share DIY tutorials as I learn and perfect new techniques so other makers can learn them too. Facebook fans 336. Twitter followers 1,357. 46. Couture Craft | Live life creatively! UK About Blog Couture Craft is a blog for beautifully curated craft, baking and shopping ideas. Facebook fans 284. Twitter followers 1,479. UK About Blog Hi, my name is Emma and welcome to the Gathering Beauty blog. My blog is the place where I share diy craft projects, the odd recipe and all the things I love. Facebook fans 2,586. Twitter followers n/a. Prestatyn, North Wales About Blog Craft Blog Uk is a blog about selling crafts online using content marketing, social media and tips for learning to be a better craft blogger. Facebook fans 8,903. Twitter followers 44,620. West Sussex, UK About Blog Crafts from the Cwtch is the virtual home of Maker, Designer and Doodler, Sarah Knight. As you might expect, the blog includes lots of knitting and crochet and occasionally a little bit of sewing too. New posts are published on average three times a week and include tutorials, reviews, interviews, patterns and more! Facebook fans 3,024. Twitter followers 1,611. UK About Blog A place to share crafty ideas. Papercraft Artistry is authored by Sarah McDermott - Independent Stampin' Up! Demonstrator. Facebook fans 224. Twitter followers n/a. UK About Blog Simply Papercraft blog authored by Fiona Walker. Stay up to date with latest articles about papercraft. 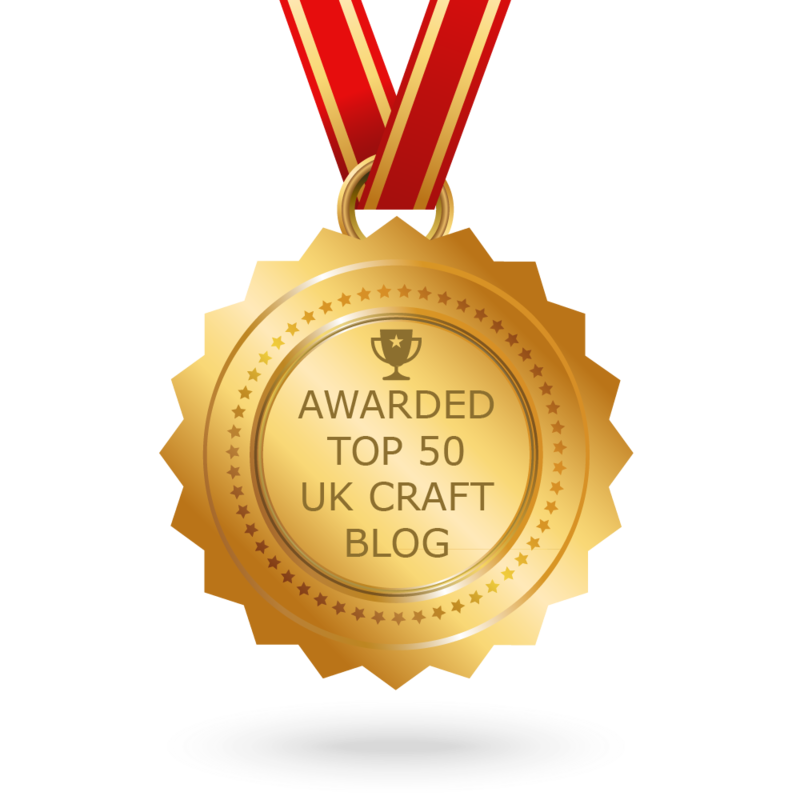 CONGRATULATIONS to every blogger that has made this Top UK Craft Blogs list! This is the most comprehensive list of best UK Craft blogs on the internet and I’m honoured to have you as part of this! I personally give you a high-five and want to thank you for your contribution to this world.